Do you want to optimize your image galleries for SEO? Getting your galleries to rank in the search engines should be a priority for any photography site owner. In this article, we will share how to optimize your WordPress galleries for SEO. Your site features beautiful photo galleries, but is anyone looking at them? Unless you get your images to come up on major search engines like Google, no one will be able to find your photos. Sometimes you may upload images directly from your camera to your WordPress site. These images may have file names like “DSC_001.jpg” because they were named automatically by your camera. However, those titles are not good for SEO because they don’t give the search engines any information about what your photos contain. A proper image name will help your photos to rank for relevant keywords. So, before you upload your images, rename them to something more descriptive, such as, “girl-holding-balloon.jpg” or “green-field-of-flowers.jpg”. If you upload your images without optimizing their file size and dimensions first, you are probably uploading a huge photo. This is bad for SEO because is slows down your page load time, and the search engines don’t like that. 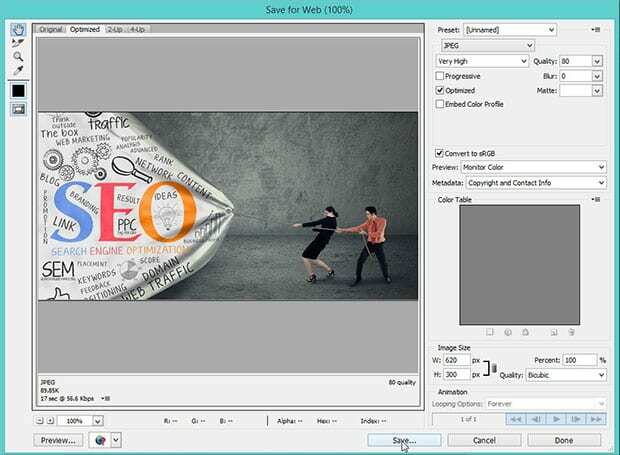 Instead, resize your images to the smallest dimensions that you need before uploading them. You can do this in Photoshop, which also allows you to further optimize the file size of your photos for the web. 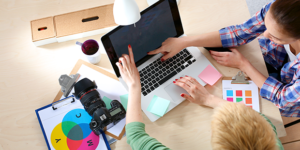 For more information on optimizing your file size and dimensions, check out our guide on optimizing your images for the web. Search engines like it when you add Alt and Title tags to your images because this gives them further information about what keywords your photos should rank for. To add Title and Alt tags, you can simply write your keywords into the Title and Alt Text fields on the Insert Media screen from your WordPress admin, as shown below. You should do this for all of your images that you upload to WordPress when you insert them into your galleries or onto any page or blog post. Make sure that you are using descriptive, relevant keywords, so search engines will know what your images are about. This is an important step. In order for your galleries to show up as a search result, they will need to have their own unique, indexible URL. 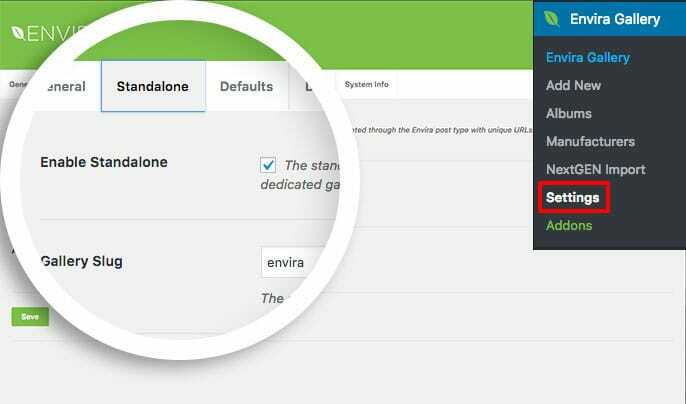 WordPress galleries don’t have unique URLs by default, but you can use Envira Gallery’s Standalone addon to create unique URLs for all of your image galleries. Each of your images need to have their own unique URL too if you want them to be optimized for SEO. To accomplish this, you’ll need Envira’s Deeplinking Addon. This will allow you to rank each individual photo in the search results. 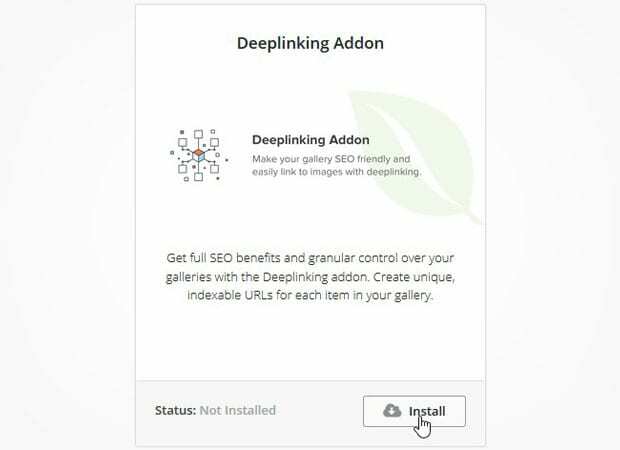 To learn how to create unique, indexible URLs for each of your individual images, check out our guide on gallery deeplinks. Make sure that the URLs of your image galleries and albums are different from the URLs of your pages and posts. Having the save URLs for image galleries and pages/posts may bypass your WordPress galleries on search engines. It is recommended to create descriptive, meaningful and explanatory URLs for the image galleries and photo albums, so the search engines can read and rank them easily. Every photography site should have a sitemap that includes all of your photos and image galleries. 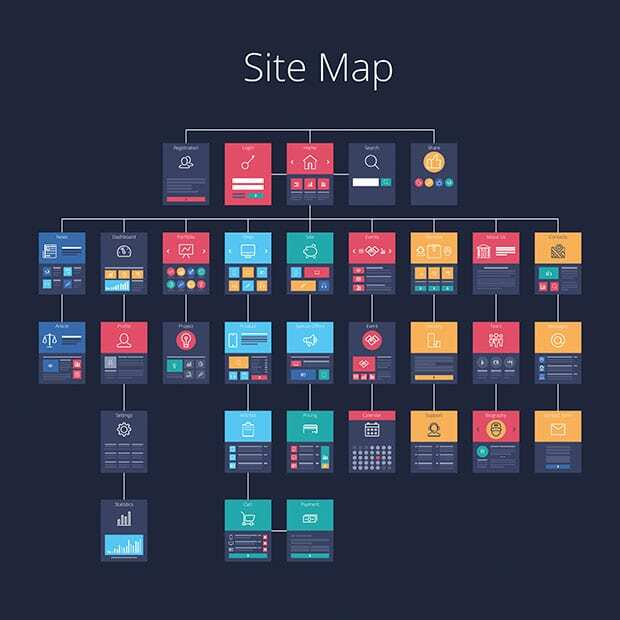 Sitemaps makes it easier for search engines to index all of the photos and galleries on your site by showing the hierarchy and flow of your site. 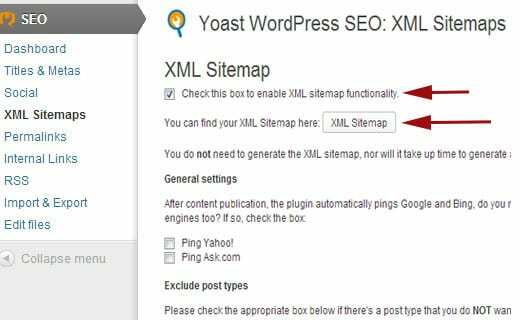 To create an XML sitemap, we recommend using Yoast’s WordPress SEO plugin. Once you’ve installed and activated the Yoast SEO plugin, go to SEO » XML Sitemaps and check the box to enable XML sitemap functionality. Then click Save settings. That’s it! Your sitemaps have been generated and are now accessible by search engines. We hope this article has helped you to learn how to optimize your WordPress galleries for SEO. For even more tips to optimize your galleries and images for SEO, check out our guide on 31 steps to rank your photos in Google. You can also see our ultimate WordPress SEO guide for more general tips for ranking your site. Sorry but I am using the Pagination addon and I see that ALL my page links to the multiple pages are going through a 301 redirect and for SEO that STINKS! I am in the mid-level plugin, not the Pro. Does anyone know if I have to go to the Pro version so that the pagination links are the actual links which appear in the URL — and not a redirection scheme?